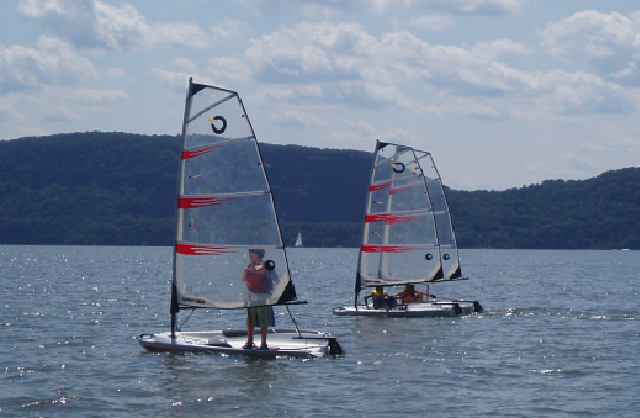 The Shattemuc Sailing Academy is one of the top sailing academies on the Hudson River. 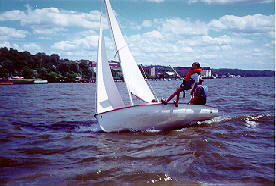 It offers comprehensive sailing instruction and boating safety for young people ages 9–16. 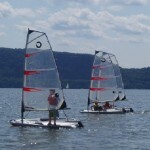 From beginner sailing skills to competitive racing techniques, Shattemuc offers young people an unforgettable summer experience on the majestic Hudson River. 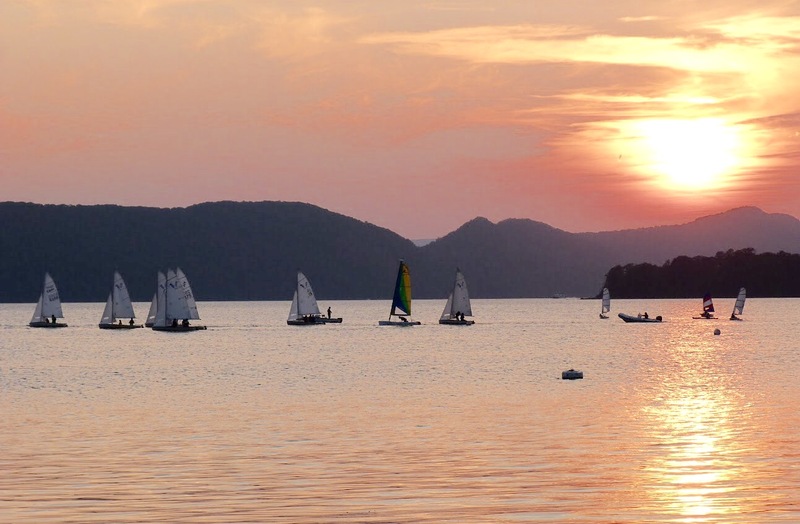 Since its inception in the 1960s, Shattemuc Yacht Club’s junior Sailing Academy has introduced hundreds of young people to the joys of outdoor activity on the water. The Academy’s goal is to turn novices into skillful, confident, safety-conscious sailors. Our sailing / boating training program focuses on personal experience, close supervision, and progressively more demanding tasks. You will be amazed at how much your son or daughter learns in just one 4-week session. There are two four-week sessions, one in July and the other in August. You may choose to attend either one or both. The daily schedule is from 9:00 a.m. until 3:30 p.m. Please visit us at one of our open houses to learn more! 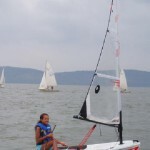 The Sailing Academy is operated by a Director and a paid staff of experienced instructors, with administrative support from a volunteer committee of Club members and policy guidance from the Shattemuc Board of Directors. 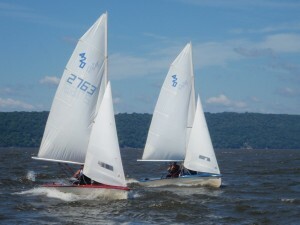 Students learn to sail in the Academy’s fleet of Club 420s, O’pen Bics and Optimist prams.Depending on wind and weather, much of the day is spent in organized sailing activities on the water, with breaks for classroom instruction and a mid-day break for lunch and a dip in the pool. You may send your child with a brown bag lunch (we have refrigeration) or lunch may be ordered from the snack bar at the pool. There’s no need to carry cash — the snack bar order will be recorded and a statement sent to you each month. 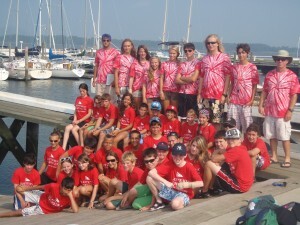 If there are issues with food allergies, please send relevant information to sailingacademy@shattemucyc.org. 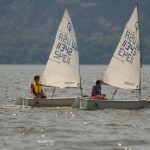 The Junior Sailing Academy runs two 4-week sessions in the course of the summer. 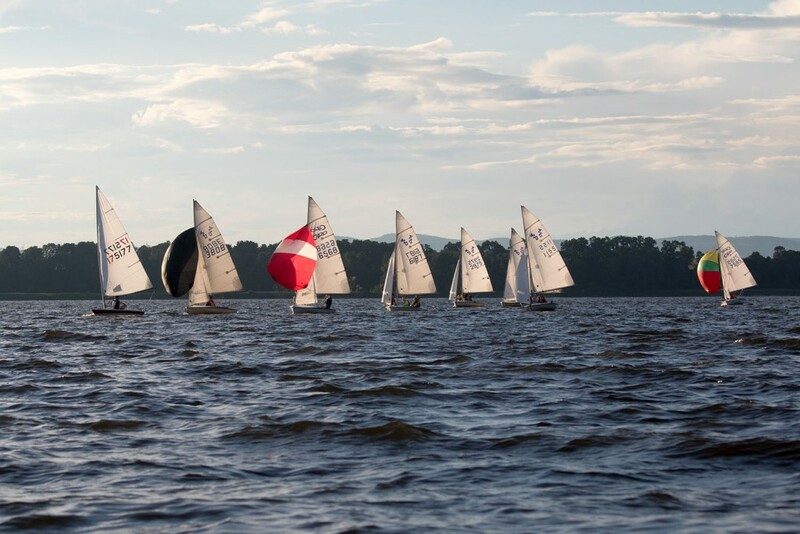 The Sailing Academy season will be capped by a gala awards dinner on the last day of second session. cruising sailboats available for an Academy cruise. These ‘Big Boat Days’ are immensely popular with the Academites. Wednesday Night Races let the Academites practice their sailing and racing skills. Parents are invited to join in the viewing of the Wednesday Night Races at 6pm, while the Academy is in session. 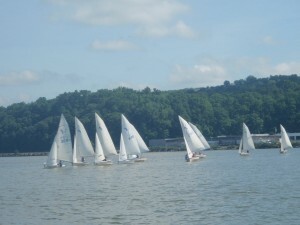 The Academy fleet consists of Optimist, O’pen Bic and Club 420 sailboats. 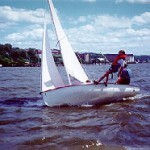 The 8 foot Optimist is the most popular sailboat for juniors. 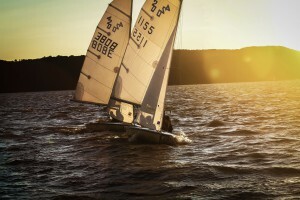 The 8 foot O’pen Bic is a high performance, planing sailboat. 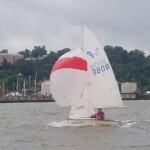 The 14 foot Club 420 enables sailors to learn teamwork, trapeze and spinnaker techniques. The Club 420 gets its name from its length – 420 centimeters. 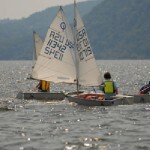 Academites learn big boat skills as well, graduating to highly sought-after crew for HRYRA racers.